Welcome to Baker Chiropractic and Acupuncture, we have provided compassionate pain relief at our Kansas City Chiropractic Clinic since 1976. Call us today at 913-287-7171! BAKER CHIROPRACTIC and ACUPUNCTURE is a family owned Kansas City Chiropractic clinic that was founded by Dr. Steven Baker in 1976. Dr. Baker quickly established an outstanding reputation for providing compassionate Chiropractic care in the Kansas City community and that same reputation still exists today. Dr. Baker retired in June of 2013 and his Kansas City clinic is now operated by his son Dr. Casey Baker. Dr. Casey started to learn about how to relieve Back Pain, Headaches and Migraines, Neck Pain, Shoulder Pain and Hip Pain from his father Dr. Baker at an early age. Dr. Baker didn't just leave his compassion for his patients that suffered from chronic pain or acute pain at the office, at the end of every day, he brought it home with him and shared his experiences and knowledge with his son Dr. Casey Baker. If you struggle with Headaches, Back Pain, Tension, Sleepless Nights, Neck Pain or Shoulder Pain and Hip Pain, BAKER CHIROPRACTIC and ACUPUNCTURE clinic will provide pain relief to you so that you can get back to the old you. Our Spine and Postural Screenings are FREE and we will explain our findings with you in a simple and easy to understand approach. Spine and Postural screenings will help you to unlock the door to improved health and well-being. Here at Baker Acupuncture we use an effective, non-invasive acupuncture technique that involves using a micro-current stimulator to treat acupuncture points on your body to balance energy and stimulate healing. There is no pain when receiving our acupuncture treatment and it is also safe to use with children. Some common conditions we treat with electro acupuncture include: acute pain and chronic pain, post op care, sports injuries, arthritis pain plus many more conditions that bring discomfort and pain to you on a daily basis. We also provide acupuncture pain relief using needles as well. Acupuncture is painless and many of our clients report immediate pain relief. Baker Chiropractic Care provides advanced spinal correction utilizing "state of the art" chiropractic techniques. 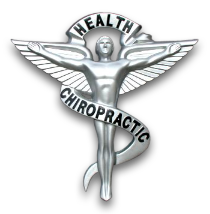 Never in the history of chiropractic care have chiropractors been able to provide the level of help and expertise that now exists. These newer correction methods are even safer, more comfortable and more effective than ever before. As a Doctor of Chiropractic care, Dr. Casey Baker has a lifetime of training and experience in spinal adjustments and acupuncture treatments. We respect and thank all of our Veterans who have sacrificed for our country. The Veterans Administration uses providers like us so that Veterans who cannot receive timely treatments at a veterans medical clinic can visit our clinic at no charge to the Veteran. Baker Chiropractic Clinic is proud to be a part of the Veterans Choice program and look forward to helping any of our Veterans to receive pain relief. Why Baker Chiropractic & Acupuncture? The minute you walk into Baker Chiropractic clinic you will feel welcomed and receive individual care that is customized to help you achieve relief from what ails you. 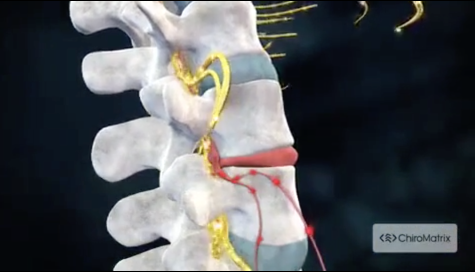 We will treat the root of your pain or discomfort and not just put a temporary bandage on the issue. Dr. Casey Baker is also known as one of the "most personable doctors in Kansas City". He enjoys working with all ages including infants and children. We offer walk in appointments or convenient appointment times that fit your busy schedule. Our digital x-ray system helps us attain an accurate diagnosis for you at a fraction of the cost of most chiropractic care clinics. We offer affordable care for all patients. We do accept many insurance plans, including Blue Cross and Blue Shield, Aetna, Medicare and the Veterans Choice program and we work with our patients that have limited or no insurance. Baker Chiropractic provides a painless and safe adjusting approach. Our Spine and Postural Screenings are FREE. Call today or click here to reserve your appointment! "I AM AMAZED AT THE AMOUNT OF IMPROVEMENT I HAVE EXPERIENCED SINCE BEGINNING TREATMENTS WITH DR.BAKER A COUPLE OF MONTHS AGO. MY PAIN LEVEL HAS GREATLY REDUCED, I CAN MOVE MORE EASILY AND MY QUALITY OF LIFE IS SO MUCH BETTER. THANK YOU DR.BAKER AND YOUR AWESOME STAFF FOR HELPING ME FEEL BETTER."